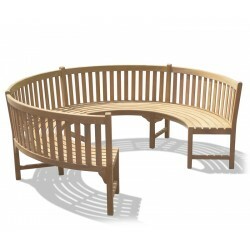 This Henley teak 3/4 circular curved garden bench is a practical, stunning seating solution for any setting, and is a luxurious addition to any garden, park, school, museum, etc. 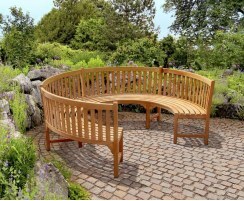 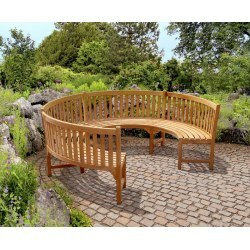 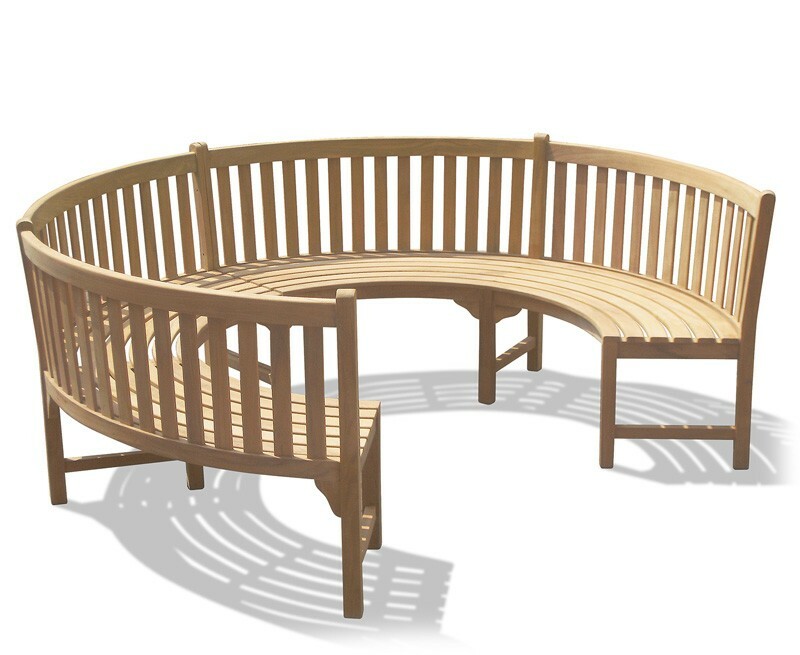 With its sweeping, three-quarter circular curve, this teak curved garden bench provides an interesting focal point for private and public gardens, parks and architectural landscape settings. This Henley teak 3/4 circular curved garden bench has been expertly manufactured from sustainable, durable, grade-A teak using tight-fitting mortise and tenon joints. 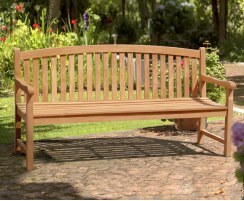 This teak curved bench can remain outdoors all year round, even in harsh weather conditions, whilst requiring only minimal maintenance – we simply recommend occasional cleaning with warm, soapy water. 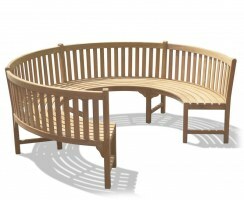 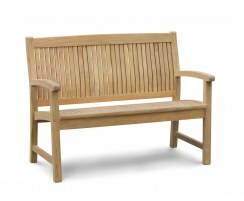 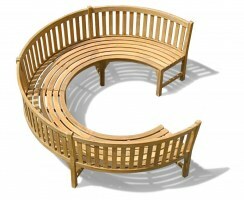 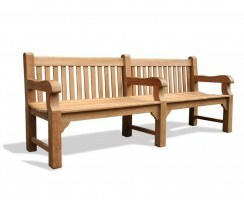 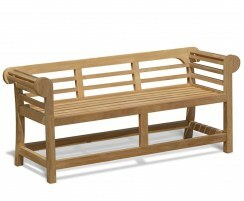 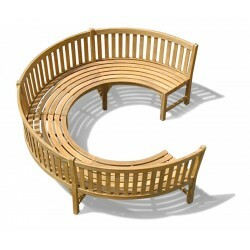 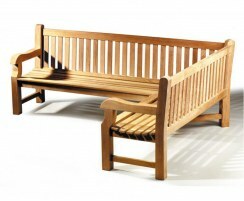 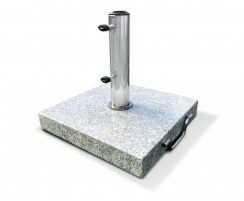 This three-quarter circular curved garden bench is ideal for parish and civic use in public spaces, gardens, museums, educational institutions, etc., and it’s routinely requested by local authorities, parish councils and landscape architects nationwide for its durability, chunky design and comfort. 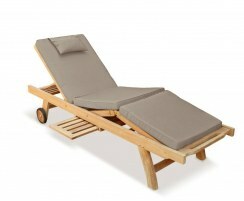 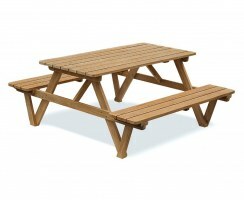 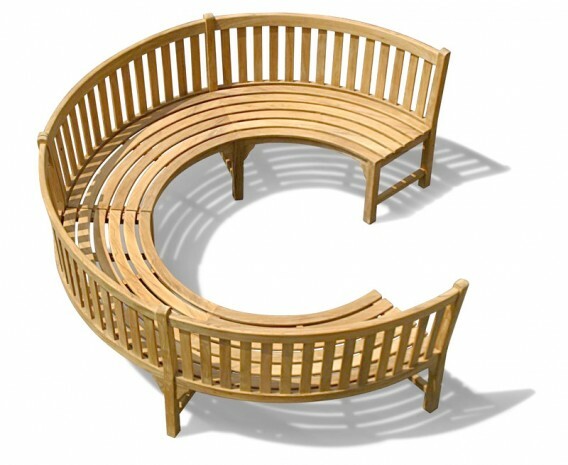 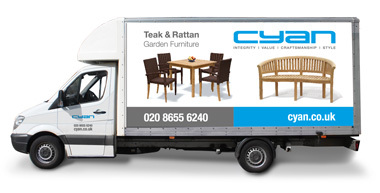 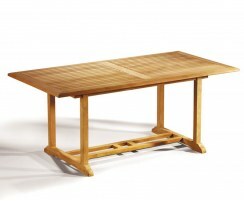 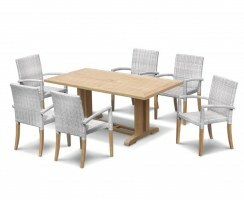 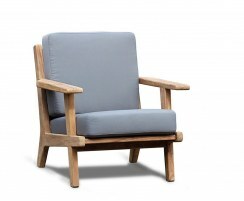 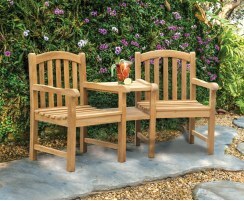 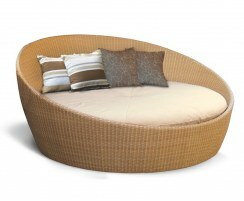 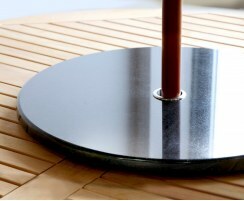 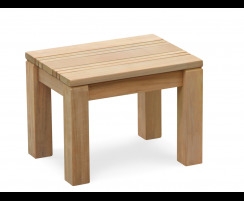 We will deliver this circular bench to you fully assembled in two parts for your convenience and pleasure. 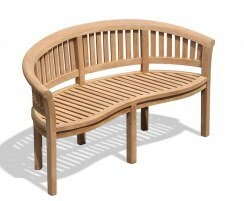 Please call us for more details should you require this curved bench with armrests, or perhaps a made-to-measure cushion.